There’s nothing worse than having a dry scalp – think itchy, irritated and flaky skin. Having a dry scalp is something that many of us struggle with but it’s one of those things that none of us want to talk about. An itchy and flaking scalp can be uncomfortable, aggravating and often embarrassing, thanks to the visible dry flakes it can leave in your hair! The cold weather is a major reason why you might be experiencing issues with a dry scalp but other factors, such as hydration levels and the health of your hair, can also contribute. There’s no need to worry though! We’re here to share our top tips with you when it comes to dealing with the dreaded dry scalp. This is always our first tip when it comes to getting rid of a dry scalp for good. 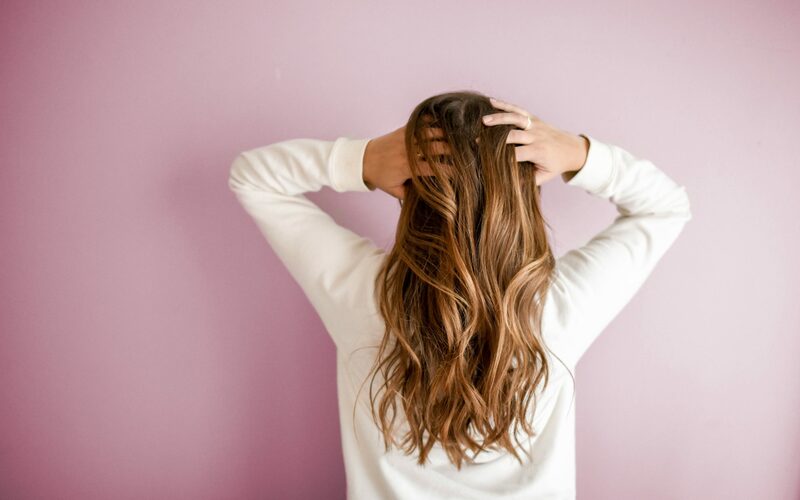 Hair products that are full of harsh chemicals and abrasive ingredients can strip the hair of essential oils and nutrients, leaving it extremely dehydrated and stop your scalp from breathing. Harmful ingredients such as silicones and sulphates can really dry out your locks and cause irritation to your scalp, causing it to become flaky. We encourage you to use natural hair products where you can. Not only will this help with dryness but it will also improve the overall health of your hair. If you’re suffering from dandruff or a dry scalp, we know you will be tempted to wash away all the dead skin as often as possible and pile as much condition on in order to keep your hair hydrated. However, this can have the opposite effect. Daily washing can stop your hair from producing its natural oils that are essential for hydrated hair and instead leave your scalp feeling stript of moisture. Furthermore, excess use of conditioner can actually coat the scalp and lead to dryness. We suggest only using conditioner towards the ends of your hair and try washing it only 2-3 times per week. You may not have heard of a scalp scrub before but think of it like a face exfoliator for your hair! Its purpose is to gently buff away the dead and dry skin, leaving you with a smooth and flake-free scalp. A scalp scrub can also help with hair greasiness and dirt build up. A scalp scrub with moisturising properties is your best bet to prevent further irritation or dryness and we suggest only using them once per week. Think of it like a pamper session for your hair! While there are plenty of hair masks and hair treatments available these days, there are a few simple ingredients to look out for when it comes to treating your hair. We love argan oil for its super hydrating properties and anything containing the oil, or the oil itself, is a great choice when it comes to getting rid of a dry scalp. Another ingredient that’s fantastic for its moisturising properties is aloe. Try massaging a small amount of aloe into your scalp a couple of times per week and letting it sit there for 10-15 minutes before rinsing. This will help to rehydrate the scalp and get rid of any flaky skin! Just like the rest of your body, your scalp is affected by your hydration levels! If your not drinking enough water, this can be the cause of your dry and irritated scalp. Try to aim for at least 2 litres of water per day.